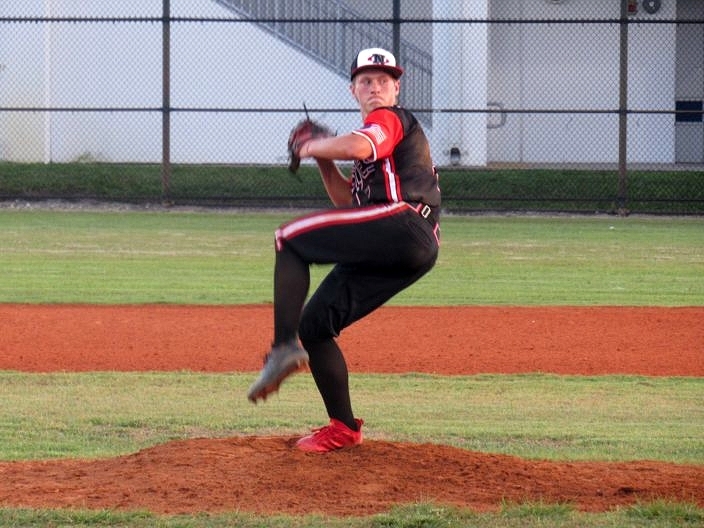 Northeast came out strong early against Fort Lauderdale and capitalized on mistakes to secure the 7-2 victory. Exchanging runs early in the game the Hurricanes relied on pitching and offense to outlast Fort Lauderdale. Logan Rose earned the win tonight going three innings, while giving up two hits and one earned run. Rose pitched through defensive errors and well hit balls to set up Nick Donatucci to close the door on Fort Lauderdale’s night. “Every win adds more confidence to me and the team.” said Rose. Donatucci expressed the teams approach on the mound. “We don’t try to strike everyone out. We rely on our defense and trust them to get the job done and they did tonight.” he said. Kyler Johns was on the mound for Fort Lauderdale dealing three innings, allowing three earned runs, four hits, while striking out three. Johns helped his own cause tonight by driving in a run on a sac fly in the second inning. The runs started for the Hurricanes when Mathew Pearson’s ground ball down the third base line was thrown away allowing the first run of the night to come across. Rose then came through at the plate with a two out double to left field making it a 2-0 game. In the third, Donatucci drew a walk and was driven in by a Ryne Guida double. Ben Steinberg doubled to bring in Guida to make it a 4-1 ball game, Steinberg would later come around and score off a passed ball. After Giovanni Brown singled in their bottom half of the third Aaron Miranda drove in Fort Lauderdale’s final run of the night. 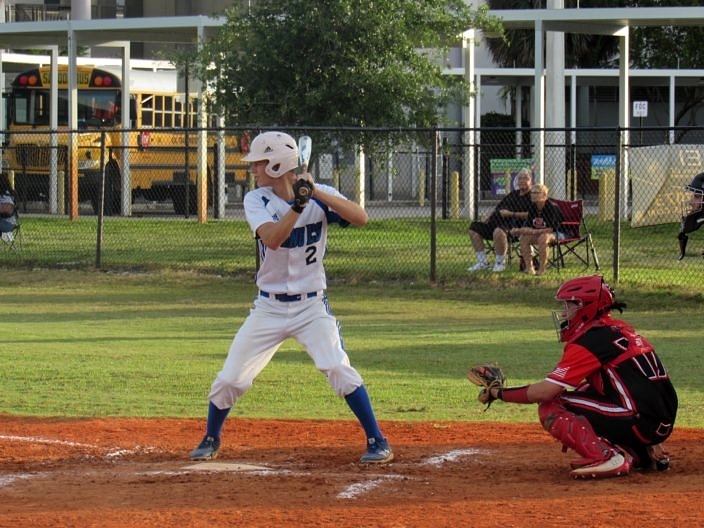 After exchanging runs in the second and third inning, pitching took over as the Hurricanes shut down Lauderdale for the remainder of the night. Northeast managed to manufacture two more runs in the seventh off back to back walks. Robert Zunay singled down the third base line, followed by Steinberg grounding into a fielders choice, driving in the final run of the night. Northeast is back at it Wednesday against Hallandale and look to continue their offensive output and move up in the district. Fort Lauderdale look to bounce back tomorrow and get back on track against Forest Hill.